Jane Harman was engaged to be married to George Middlemore of Haselwell (near Stirchley on the other side of Birmingham). A marriage settlement document was drawn up on 14th December 1525. George’s father agreed to give the Haselwell estate to the couple on their marriage, in return for £400 to be paid to him by the bride’s uncle, John Vesey, Bishop of Exeter. The relevant deeds were to be kept in a chest with two locks, one of the keys to be kept by George Middlemore’s father John Middlemore, the other by Bishop Vesey or his brother Hugh Harman. The chest was to be kept at Moor Hall, Sutton Coldfield. Bishop Vesey was the son of William Harman of Moor Hall, and the Moor Hall of 1525 was the old family home, but not for much longer. In 1527 the King gave Vesey the Moor Hall estate, and the Bishop proceeded to build a splendid new mansion on the hill above the old house, where he lived in style with a household of 140 retainers dressed in red livery. The old Moor Hall was rebuilt in stone on a more modest scale - it was known as the Dairy House in 1550, and later as Moor Hall Farm. After the death of Bishop Vesey in 1554 his brother Hugh Harman lived at Moor Hall for a time, but Gawen Grosvenor, a relative of the Pudseys of Langley Hall was the owner in the early 1600s, followed by his son Leicester Grosvenor. John Addyes purchased Moor Hall , and the Addyes family occupied it for most of the eighteenth century. In the 1800s Moor Hall was the property of a branch of the Hackett family of Moxhull Hall. Over time the house had been greatly altered - writing in 1890, the Rector of Sutton, W.K.Riland Bedford, refers to it as “now modernized”. 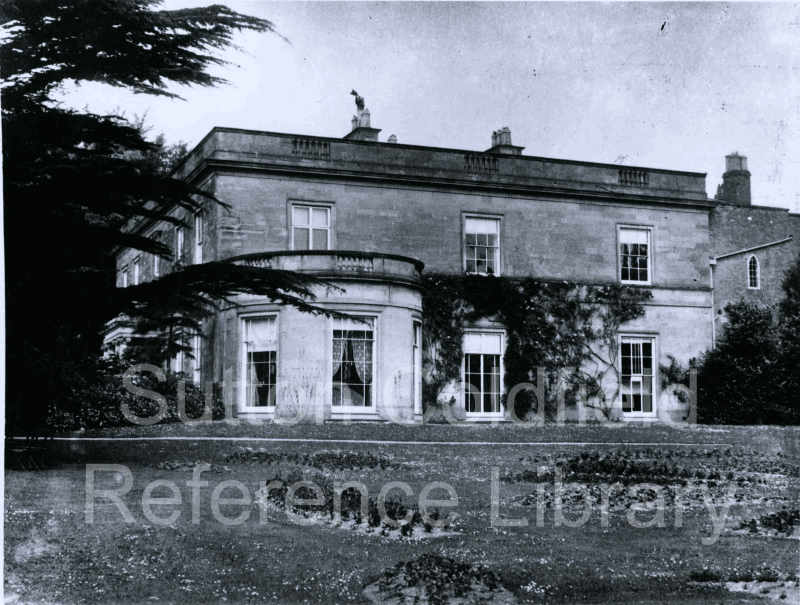 Moor Hall was not modern enough, however for its new owner, the brewer Colonel Edward Ansell, who demolished it and built the present Moor Hall on the site in 1905.